Cargo Van, Gas/Ethanol V8 6.0L/364 Engine, Automatic Transmission, , 2016 Express 3500, Cargo Van ---- Express Cargo Van trim, SUMMIT WHITE exterior and MEDIUM PEWTER interior. TRAILERING EQUIPMENT, HEAVY-DUTY, AUDIO SYSTEM FEATURE, USB PORT, Hitch, CONVENIENCE PACKAGE, TILT-WHEEL AND (... REMOTE KEYLESS ENTRY, HIGH IDLE SWITCH SEE MORE!======KEY FEATURES INCLUDE: . Electronic Stability Control, Bucket Seats, Vinyl Seats, 4-Wheel ABS, Tire Pressure Monitoring System. 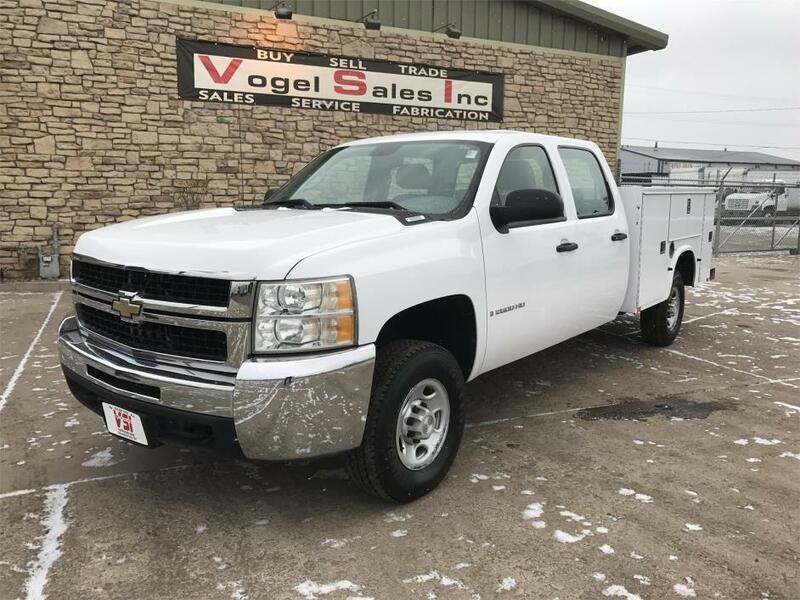 ======OPTION PACKAGES: ENGINE, VORTEC 6.0L V8 SFI FLEXFUEL (342 hp [255.0 kW] , 373 lb-ft of torque [503.6 N-m] , TILT-WHEEL AND (K34) CRUISE CONTROL, DIFFERENTIAL, HEAVY-DUTY LOCKING REAR, TRAILERING EQUIPMENT, HEAVY-DUTY includes trailering hitch platform and 7-pin sealed connector (Includes (UY7) 7-lead trailer wiring harness. ), HIGH IDLE SWITCH, REMOTE KEYLESS ENTRY with 2 transmitters and remote panic button, AUDIO SYSTEM, AM/FM STEREO WITH CD/MP3 PLAYER seek-and-scan, digital clock, auto-tone control, Radio Data System (RDS), TheftLock, random select, auxiliary jack and 2 front door speakers, TRANSMISSION, 6-SPEED AUTOMATIC, HEAVY-DUTY, ELECTRONICALLY CONTROLLED with overdrive tow/haul mode and internal transmission oil cooler (STD), AUDIO SYSTEM FEATURE, USB PORT, PREFERRED EQUIPMENT GROUP includes Standard Equipment, REAR AXLE, 3.42 RATIO. 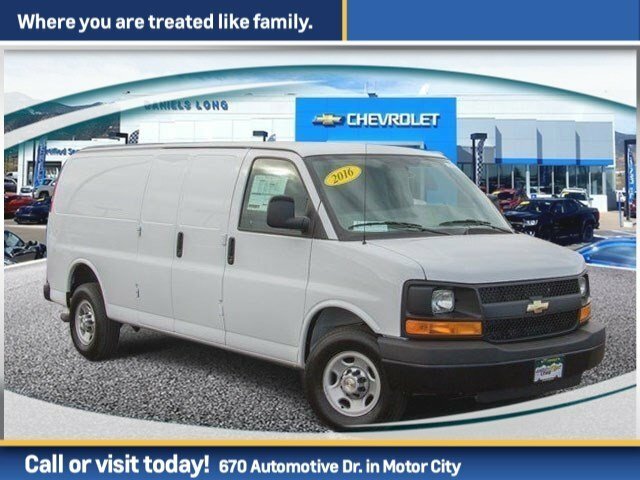 Chevrolet Express Cargo Van with SUMMIT WHITE exterior and MEDIUM PEWTER interior features a 8 Cylinder Engine with 285 HP at 5400 RPM*. 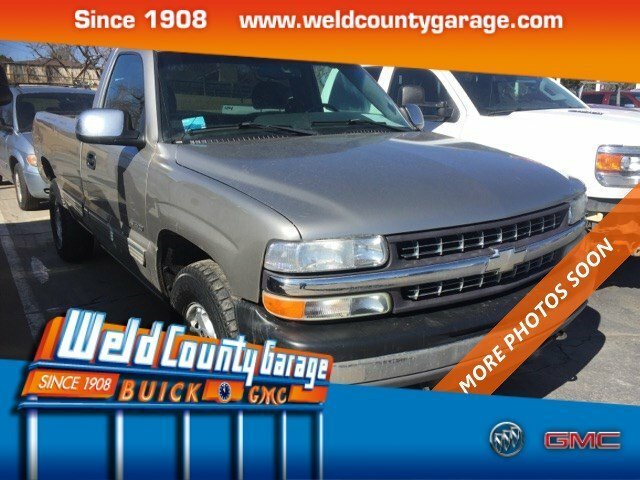 ======EXPERTS CONCLUDE: explains Thanks to its range of strong engine offerings and its rugged construction, the Chevrolet Express can haul a lot of stuff inside or tow up to 10,000 pounds.. ======WHY BUY FROM US: All vehicles sold at Daniels Long Chevrolet come with two years of NO CHARGE OIL CHANGES! Horsepower calculations based on trim engine configuration. Please confirm the accuracy of the included equipment by calling us prior to purchase. 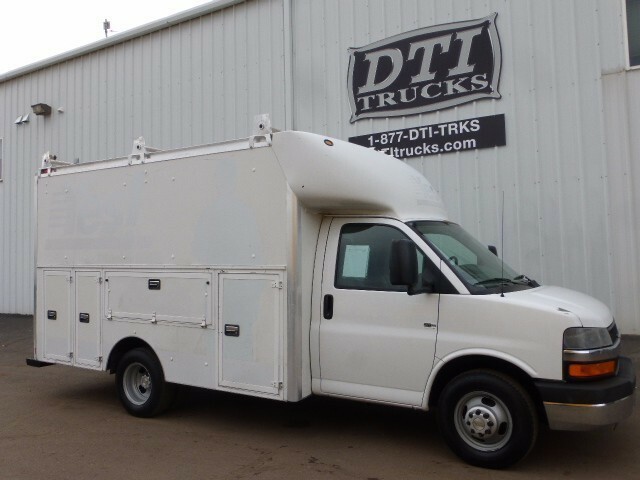 for saleThis is a clean 12,000 GVW box truck that is ready to work! 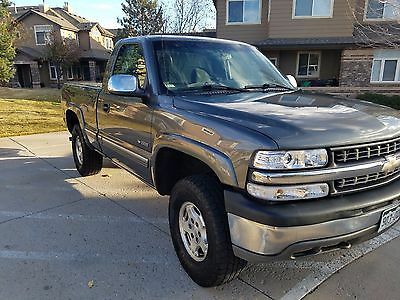 2002 Chevrolet cC500, Flatbed / Stake Bed Truck. Great Running 8.1L Vortec V-8 Gas Powered Engine, Automatic Transmission, 4X2, Rear Wheel Drive, Dual Rear Wheels, 25,950 Lbs. 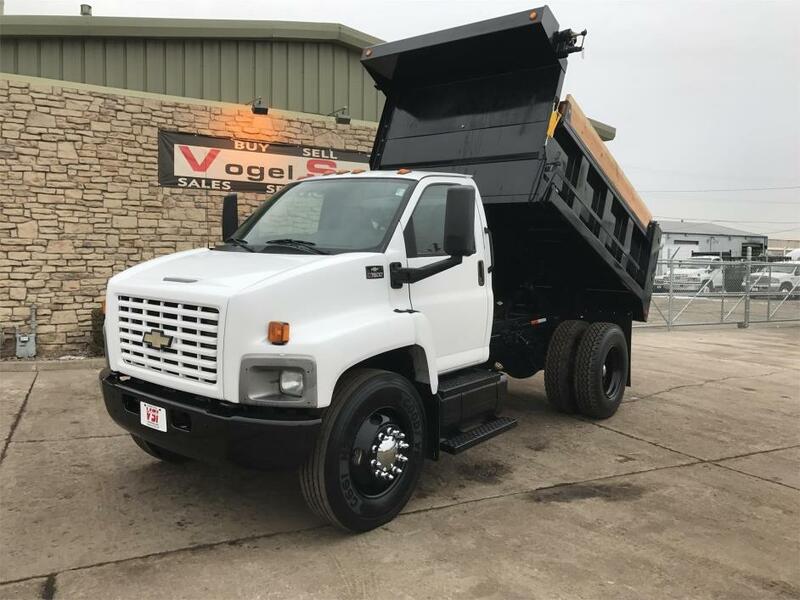 GVWR, Under CDL, Hydraulic Brakes, Spring Suspension, Regular Cab, 3 Passenger Seating, Manual Windows Mirrors And Locks, Vinyl Interior, Rubber Flooring, 19.5" Steel Wheels, Great Tires, 35 Gallon Fuel Tank, Brand New 12'L Steel Flatbed, Steel Deck, Steel Headache Rack, Stake Pockets, ICC Bumper. 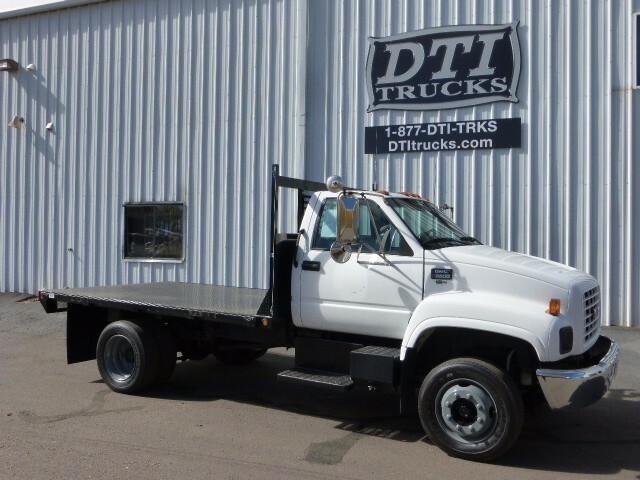 This Chevy C6500 Flatbed Truck Is For Sale @ DTI Trucks On 44th Ave In Wheat Ridge, Colorado. 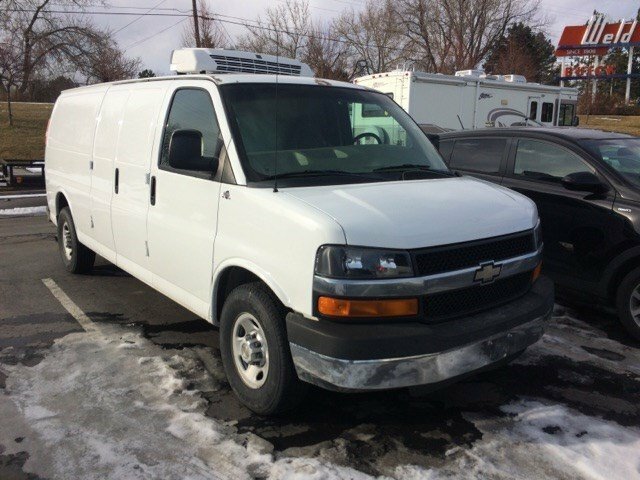 2007 Chevy G3500 Utility Body / Service Truck. 6.0L V-8 Vortec Gas Engine, 5 Speed Automatic Transmission, 12300 Lbs. 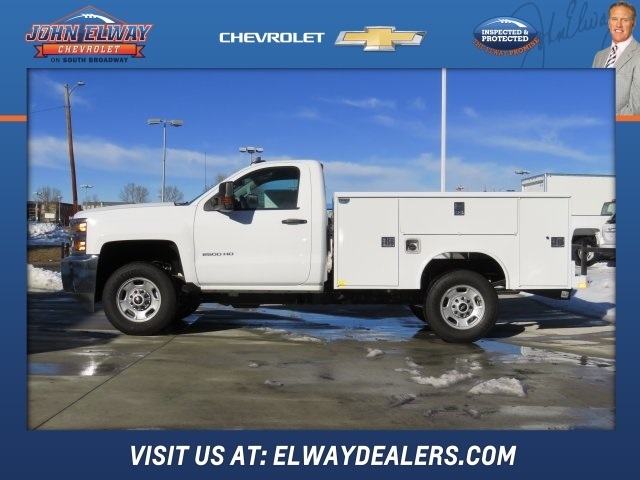 GVWR, 4,300 Lb Front Axle, 86,000 Lb Rear Axle, A/C, AM/FM Radio, Manual Windows, Mirrors And Locks, 2 Passenger Cloth Seating, Rubber Floors, 16" Steel Wheels With Great Tires, 12'L Supreme Enclosed Service / Utility Body, Aluminum Ladder, 4 Exterior Lockable Compartments, Interior Shelving Package, Rear Barn Doors,Ladder Racks, Steel Step Bumper, Square Tube Receiver Hitch, Very Clean Well Maintained Utility Truck With 168K Miles. 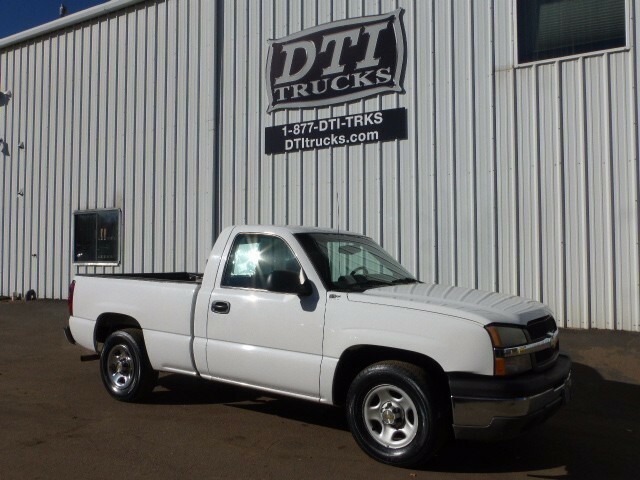 This Service Truck Is For Sale @ DTI Trucks On 44th Ave In Wheat Ridge, Colorado. 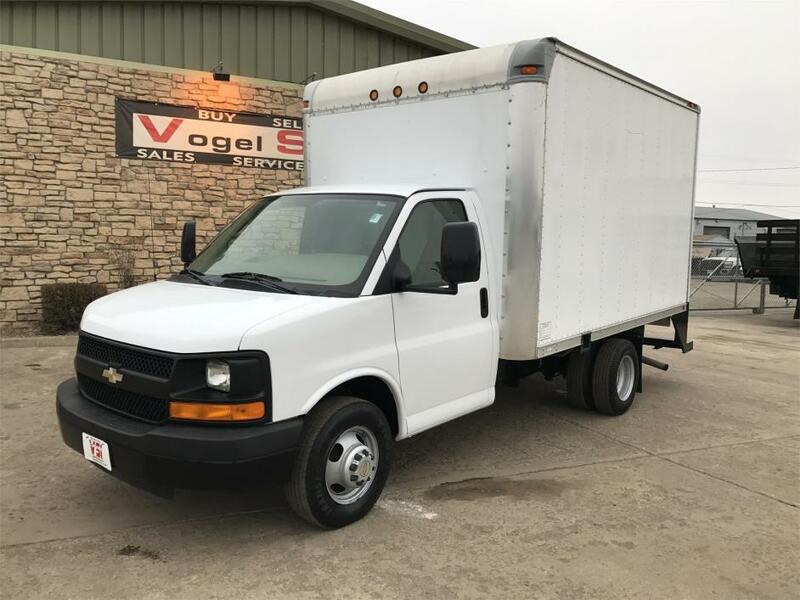 2008 Chevy 9'L Cargo Van 4.3L Vortec Engine, Auto 4 Spd, Driver And Passenger Captain Vinyl Chairs, Curb Side Windowed Sliding Door, Ruber Flooring, Power Inverter, Multiple 110V Power Outlets, Windowed Rear Barn Doors, Very Clean Well Maintained Cargo Van With Only 77K Miles!! 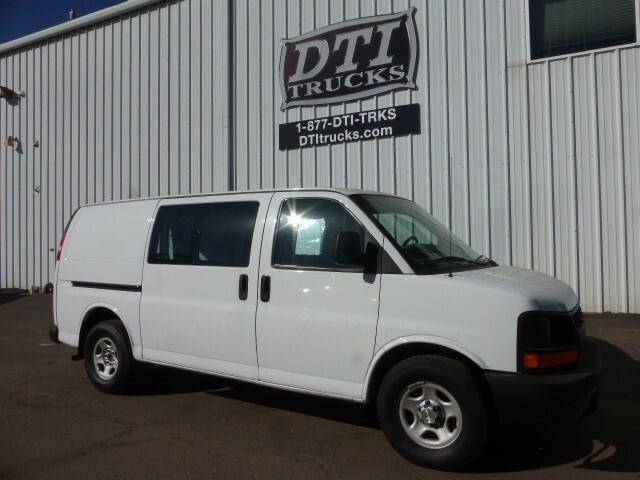 This 9'L Cargo Van Is For Sale @DTI Trucks On 44th Ave In Wheat Ridge, Colorado. 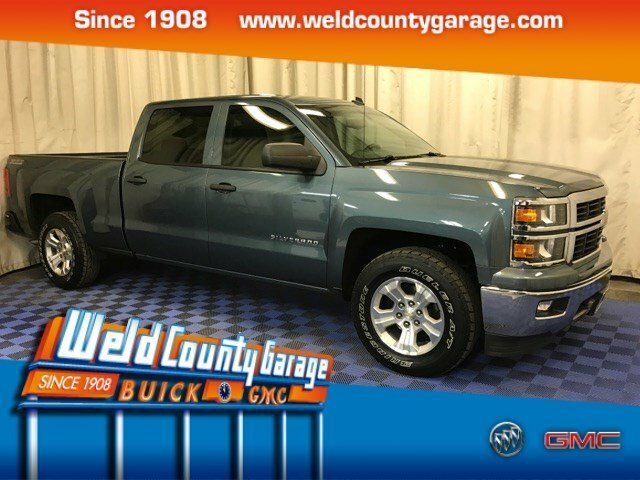 Bought this truck brand new so I know everything about it. It is in great shape for a 2002 with only 193k miles on it. 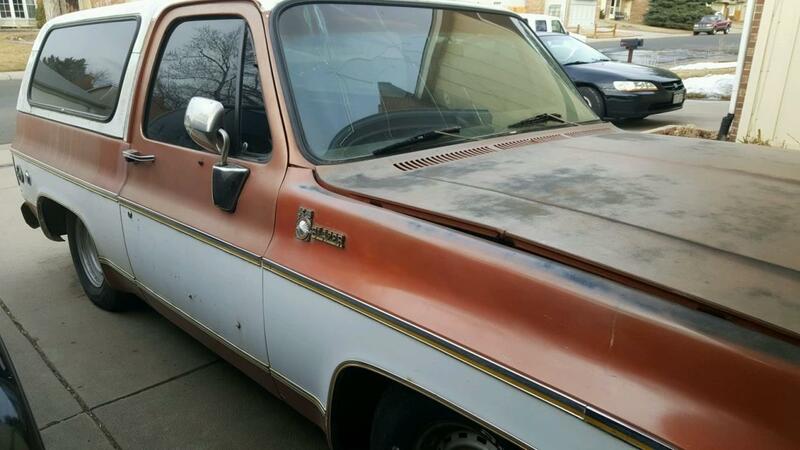 Has a few dings here and there, but overall it is in great shape. Has leveling kit with Rancho shocks on it and aftermarket headlights and tail lights. New tires as well. Flaws: Has a small oil leak, a few dents, spare tire in the back of the truck.